In this tutorial we walk through the files in a file system. 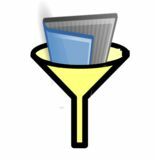 As we go through the directories and sub directories we identify specific file types using file filters. In this example image files of various formats are selected. The directories are navigated using a breath first approach, which means all the directories at the top level are explored before dropping down to the sub directories. This is a different approach to the recursive call method which navigates depth first. Previous PostPrevious Having learnt the language now what?